Two months after the marginal vote for Brexit in the European Union (EU) Referendum questions remain about regulatory implications. 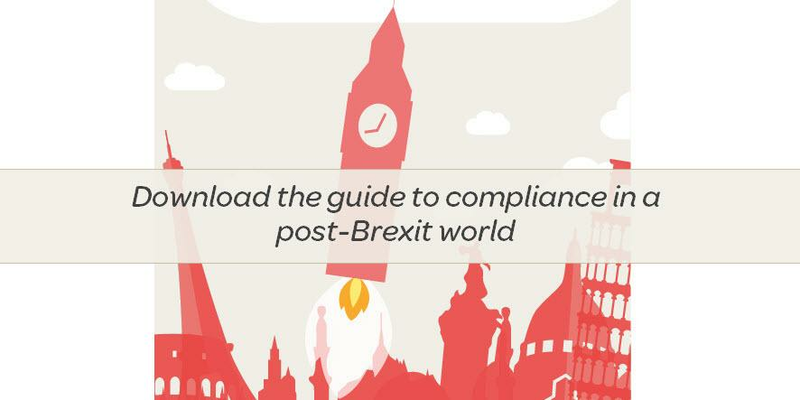 Compliance departments are already faced with a range of complex international anti-money laundering regulations and anti-bribery and corruption legislation yet Brexit now raises further important issues. How will Britain's vote to leave impact the implementation of new EU rules designed to combat money laundering? Will negotiations affect companies, supplier relations and dealing with a global customer base? The Brexit vote has also presented a number of regulatory uncertainties for business worldwide. To begin the process of Britain's exit from the EU, the Prime Minister will have to trigger Article 50 of the Lisbon Treaty. This will begin the two-year period allocated in the treaty for trade deal negotiations between Britain and the EU to take place and ultimately decide the framework for Britain's future relationship with the Union. Deals negotiated during this period will have profound implications for any company that either operates in the United Kingdom or exports to it. Several lawsuits have already been filed to the Supreme Court asking it to rule that the Prime Minister must seek parliamentary approval before triggering Article 50. In a recent report issued by market insights firm, MLex, entitled 'Brexit: The First 40 Days', Senior Correspondent Martin Coyle explained that the Brexit vote is "unlikely to put the brakes on the implementation" of the new fourth anti-money laundering directive, which became effective from June 26th. Member states must integrate the new rules into national law by 2017, which require countries to maintain a register detailing the ultimate beneficial ownership of all the companies and other legal entities, including trusts, within their jurisdiction. The directive represents a major tightening of anti-money laundering regulations, including the requirement for businesses to implement new customer due diligence checks and rules forcing them to report any suspicious transactions, as well as maintaining full payment records. Firms will now also have to implement internal controls that combat money laundering and activities which could indirectly provide finance to terrorist networks. Coyle continued: "Despite the uncertainty about the UK's future status in Europe, an immediate unravelling of EU law in the UK is very unlikely." As the fourth anti-money laundering directive will be in force by 2017, the Supreme Court challenge means the directive will be operational within UK law before Article 50 is triggered. By not being involved in negotiations the UK will lose the ability to shape any future financial crime legislation, but institutions will still need to comply if they are to conduct business with EU countries. The UK has been at the forefront of previous negotiations and has been able to influence rules in its favour. During negotiations for the third EU anti-money laundering directive arguments from the UK Treasury had a significant impact on rules over company ownership transparency. Coyle explained: "The move would have had a potentially devastating impact on the country's market, where bonds are held in trusts. The country managed to secure an exemption on identifying certain types of trusts in the bond market." Despite some clarity, many aspects of Brexit remain hypothetical. The referendum vote itself was not legally binding; if the Supreme Court rules in favour of a parliamentary vote Brexit may be rendered a minor blip in the history of EU relations. It is crucial, however, that financial institutions and other organisations in the UK continue to comply with EU anti-money laundering legislation. If this does not happen, it will be very difficult for the UK to do business with other member states.